GPA Boys’ Soccer Takes Home Championship in Francis Parker Cup!! Mental toughness – A collection of attributes that allow a person to persevere through difficult circumstances (such as difficult training or difficult competitive situations in games) and emerge without losing confidence. 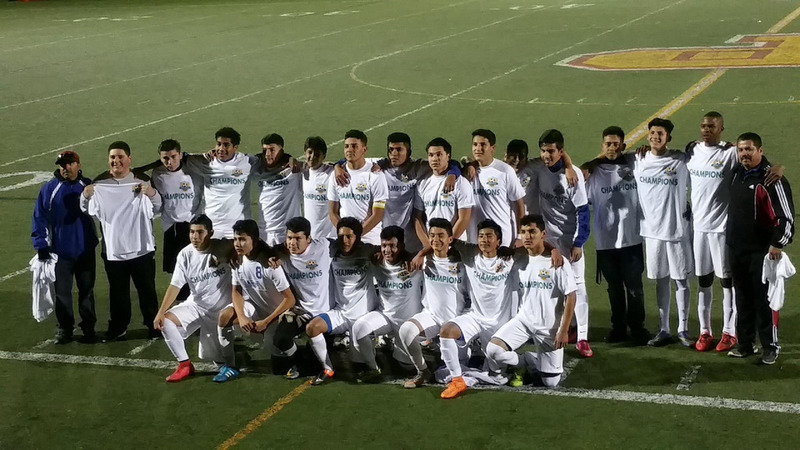 Congratulations to our Boys Varsity Soccer team for defeating Preuss in the Francis Parker Cup Championship with a final score of 3-1!! Goals were scored by Anthony P, Brayan F, Jorge S. Our Eagles displayed poise and confidence as they played their way to victory. Congratulations Eagles, GPA is proud of you all! Eagles Fall To High Tech High North County In 3 SetsThis is a test title.